Since 2003, Capital and Worth has become something bigger… something better. Our name openly defines our value to you: integrity, professionalism, and dedication to personalized service. With over a century of combined expertise, Capital and Worth provides professional tax, accounting, payroll, and financial planning services to individuals and businesses primarily in the Delaware, Southeastern Pennsylvania and Northeastern Maryland regions. Capital and Worth also provides tax service to all contiguous states. Our passion lies in deftly navigating our clients’ financial needs, year-round. Welcome to Capital and Worth. We prepare Corporate (both Sub-S Corps and Regular C Corps), Non-Profit, Partnership, Pension & Profit Sharing, and Personal income tax returns. We prepare Federal/State tax returns for Delaware, Maryland, New Jersey, Pennsylvania, and numerous other states. We provide setup and review services for a variety of bookkeeping software packages. We also provide bank reconciliation services and limited on-site bookkeeping services. We offer real-time / live payroll processing services with direct deposit capability, and payroll tax return filing and payments. We can also provide after-the-fact payroll services for companies who prepare their own payroll internally. We deliver a full range of financial services, including financial projections, corporate & personal budgets, insurance policy evaluations, life & long-term care insurance, investment review, investment account management and more. Our clients trust us with their money. It is all about transparency and a strong sense of accountability. Personal guidance. No hidden costs. Lasting relationships. 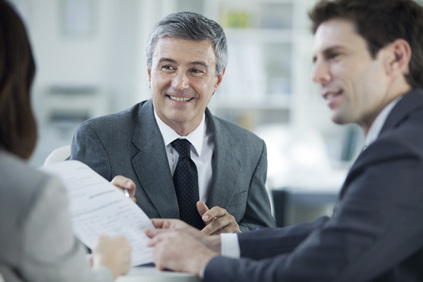 Our combined team of professionals has over 100 years of accounting expertise. We have been serving individuals and businesses for over a decade. We have earned our clients’ trust by being accessible and responsive to their needs. We work as a team and as a team tackle your most difficult questions. The Capital and Worth team is up-to-date with all of the latest tax regulations and financial product offerings. We are only interested in providing our clients with the best possible results. John J. Hartnett Jr., CPA, PFS, President and CEO of Capital and Worth.